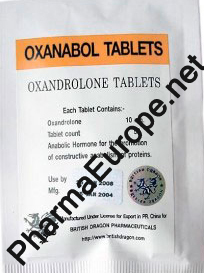 Oxanadrolone is an oral drug for promoting weight gain in humans experiencing atrophy of the muscles including HIV and other muscle wasting ailments. Anavar was the old U.S. brand name for the oral steroid oxandrolone, first produced in 1964 by the drug manufacturer Searle. It was designed as an extremely mild anabolic, one that could even be safely used as a growth stimulant in children. One immediately thinks of the standard worry, "steroids will stunt growth". But it is actually the excess estrogen produced by most steroids that is the culprit, just as it is the reason why women stop growing sooner and have a shorter average stature than men. Oxandrolone will not aromatize, and therefore the anabolic effect of the compound can actually promote linear growth. Women usually tolerate this drug well at low doses, and at one time it was prescribed for the treatment of osteoporosis. As the opinions surrounding steroids began to change in the 1980's, prescriptions for oxandrolone began to drop. Lagging sales probably led Searle to discontinue manufacture in 1989, and it had vanished from U.S. pharmacies until recently. Oxandrolone tablets are again available inside the U.S. by BTG, bearing the new brand name Oxandrin. BTG purchased rights to the drug from Searle and it is now manufactured for the new purpose of treating HIV/AIDS related wasting syndrome. Anavar is a mild anabolic with low androgenic activity. Its reduced androgenic activity is due to the fact that it is a derivative of dihydrotestosterone (DHT). Although one might think that this would make it a more androgenic steroid, it in fact creates a steroid that is less androgenic because it is already "5-alpha reduced". In other words, it lacks the capacity to interact with the 5-alpha reductase enzyme and convert to a more potent "dihydro? form. It is a simple matter of where a steroid is capable of being potentiated in the body, and with oxandrolone we do not have the same potential as testosterone, which is several times more active in androgen responsive tissues compared to muscle tissue due to its conversion to DHT. It essence oxandrolone has a balanced level of potency in both muscle and androgenic target tissues such as the scalp, skin and prostate. This is a similar situation as is noted with Primobolan and Winstrol, which are also derived from dihydrotestosterone yet not known to be very androgenic substances. This steroid works well for the promotion of strength and duality muscle mass gains, although it's mild nature makes it less than ideal for bulking purposes. Among bodybuilders it is most commonly used during cutting phases of training when water retention is a concern. The standard dosage for men is in the range of 20-50mg per day, a level that should produce noticeable results. It can be further combined with anabolics like Primobolan and Winstrol to elicit a harder, more defined look without added water retention. Such combinations are very popular and can dramatically enhance the show physique. One can also add strong non-aromatizing androgens like Halotestin, Proviron or trenbolone. In this case the androgen really helps to harden up the muscles, while at the same time making conditions more favorable for fat reduction. Some athletes do choose to incorporate oxandrolone into bulking stacks, but usually with standard bulking drugs like testosterone or Dianabol. The usual goal in this instance is an additional gain of strength, as well as more quality look to the androgen bulk. Women who fear the masculinizing effects of many steroids would be quite comfortable using this drug, as this is very rarely seen with low doses. Here a daily dosage of 5mg should illicit considerable growth without the noticeable androgenic side effects of other drugs. Eager females may wish to addition mild anabolics like Winstrol, Primobolan or Durabolin. When combined with such anabolics, the user should notice faster, more pronounced muscle-building effects, but may also increase the likelihood of androgenic buildup. Studies using low dosages of this compound note minimal interferences with natural testosterone production. Likewise when it is used alone in small amounts there is typically no need for ancillary drugs like Clomid/Nolvadex or HCG. This has a lot to do with the fact that it does not convert to estrogen, which we know has an extremely profound effect on endogenous hormone production. Without estrogen to trigger negative feedback, we seem to note a higher threshold before inhibition is noted. But at higher dosages of course, a suppression of natural testosterone levels will still occur with this drug as with any anabolic/androgenic steroid and therefore require post cycle therapy to restore the HPTA. 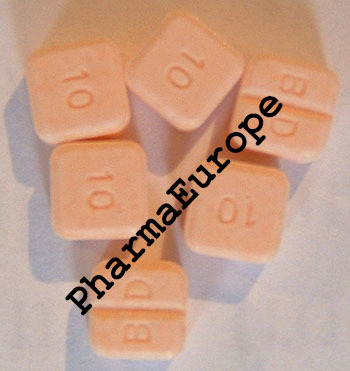 Anavar is also a 17alpha alkylated oral steroid, carrying an alteration that will put stress on the liver. It is important to point out however that dispite this alteration oxandrolone is generally very well tolerated. While liver enzyme tests will occasionally show elevated values, actual damage due to this steroid is not usually a problem. Bio-Technology General states that oxandrolone is not as extensively metabolized by the liver as other l7aa orals are; evidenced by the fact that nearly a third of the compound is still intact when excreted in the urine. This may have to do with the understood milder nature of this agent (compared to other l7aa orals) in terms of hepatotoxicity. One study comparing the effects of oxandrolone to other agents including as methyltestosterone, norethandrolone, fluoxymesterone and methAndriol clearly supports this notion. Here it was demonstrated that oxandrolone causes the lowest sulfobromophthalein (BSP; a marker of liver stress) retention among all the alkylated orals tested. 20mg of oxandrolone in fact produced 72% less BSP retention than an equal dosage of fluoxyrnesterone, which is a considerable difference being that they possess the same liver-toxic alteration. With such findings, combined with the fact that athletes rarely report trouble with this drug, most feel comfortable believing it to be much safer to use during longer cycles than most of other orals with this distinction. Although this may very well be true, the chance of liver damage still cannot be excluded, especially with hogher dosages.